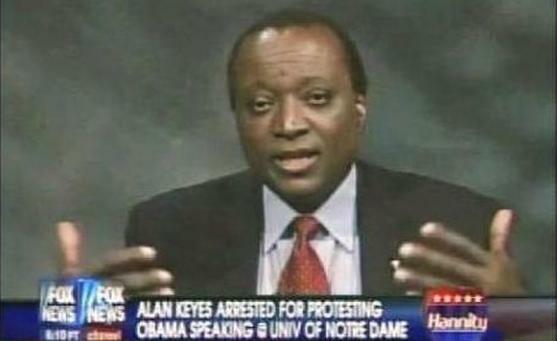 The Slowly Boiled Frog: Exactly when did Alan Keyes go mad? In public life and as a perpetual presidential vanity candidate, Alan Keyes has always been a been nutty — but reasonably tethered to reality. Keyes does have a Ph.D. in government affairs from Harvard University and he was an Assistant Secretary of State under President Reagan. So when did Keyes go batshit? What purports to be a movement for so-called homosexual “rights” is in fact intended to discard, once and for all, the idea of God-endowed unalienable rights, inherent in the Creator’s information of all human beings (i.e., our human nature). The transcendent authority of “the laws of nature and of nature’s God” is the source or origin from which certain natural penchants or inclinations derive their special claim of right. Without reference to it, as the authoritative first principle of unalienable right, the logic of democratic, republican self-government collapses. Does that even make sense? Is he suggesting that sexual orientation is a “penchant” or “inclination?” All that's missing is a call to protect “precious bodily fluids.” What makes it even odder is that this is for consumption at WND. WND readers require monosyllabic vocabulary whenever possible. But where liberty is itself defined as an unalienable right, entailed upon the title of humanity by our Creator, then whatever destroys respect for the distinctions that make our humanity self-evident – that is, evident to the self, the conscious apprehension of which distinguishes the inner being of our humanity – also destroys the special status of the exercise of right derived from that respect. This is why the elitists are so obsessed with promoting claims of homosexual so-called “rights,” rooted in sexual appetites that have no specific purpose or regard for our humanity. In this way they mean to substitute a specious, arbitrary, government-fabricated understanding of right for the God-endowed unalienable rights of human nature, which spring from a source beyond the reach of government’s power justly to disparage, alter, or bestow. That is insane. It's also catechism (Keyes is an orthodox Catholic). 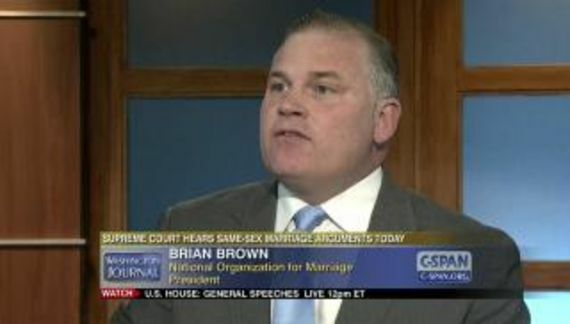 It's also pejorative and an expression of prejudice in its dismissal of sexual orientation as “sexual appetites.” Moreover, according to our Constitution (a document that Keyes has, in other venues, proclaimed to have a unique understanding of) God is not part of the equation. Keyes does know better but as I said this is a man who has lost his mind.